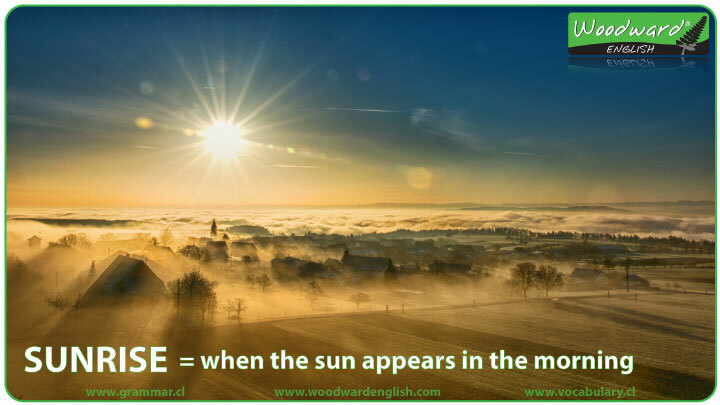 Sunrise = when the sun first appears in the sky in the morning. Sunrise occurs in the morning. 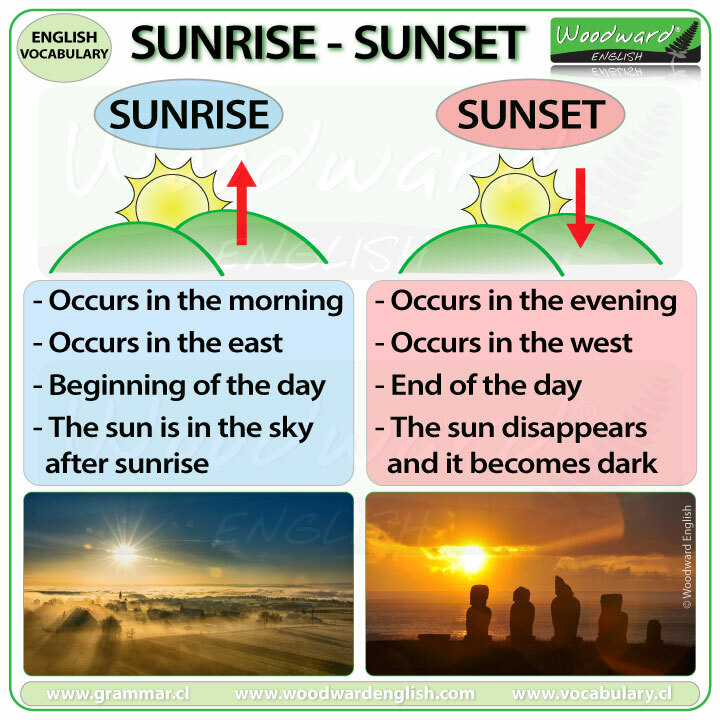 Sunrise occurs in the east. Sunrise is at the beginning of the day. The sun is in the sky after sunrise. Sunset = when the sun disappears from the sky at the end of the day and it becomes dark. Sunset occurs in the evening. Sunset occurs in the west. Sunset is at the end of the day. 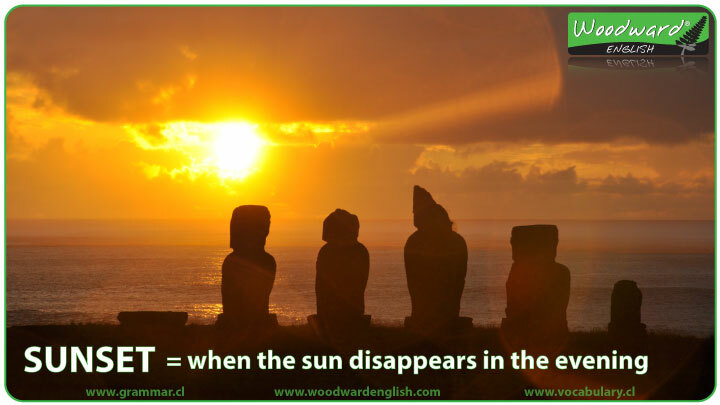 The sun disappears and it becomes dark after sunset.